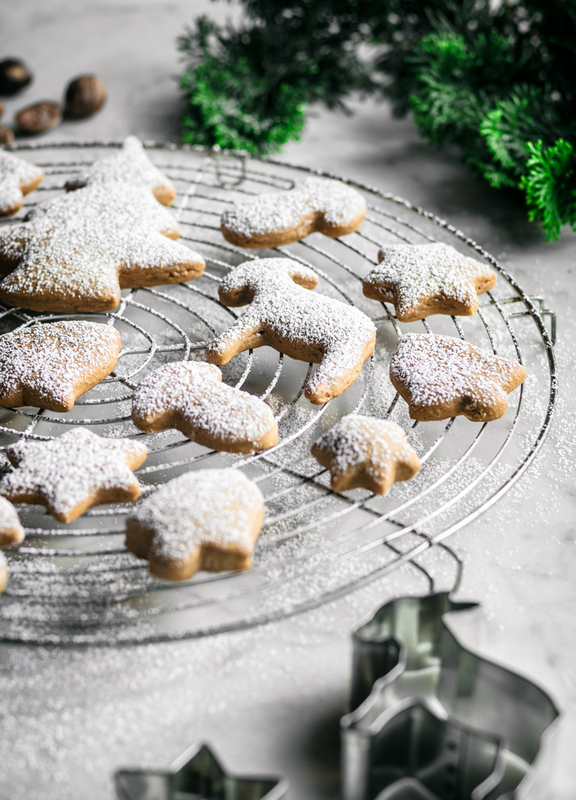 These easy vegan spice sugar cookies are like gingerbread without molasses. 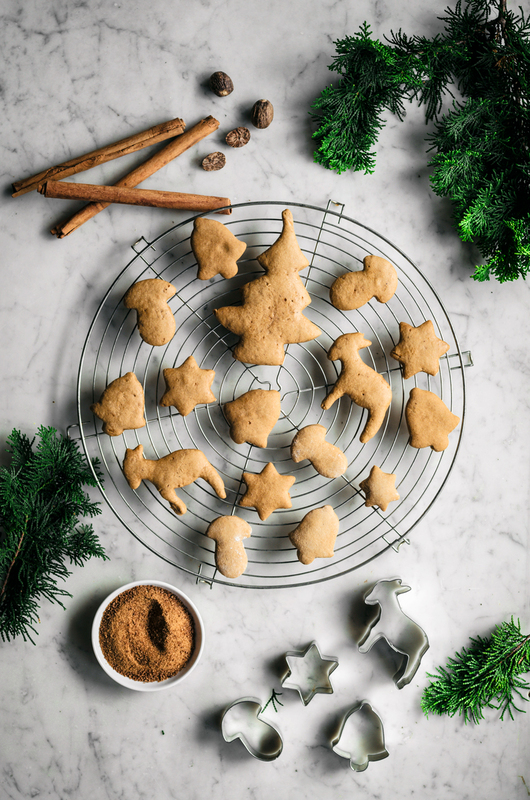 Made with coconut sugar and ginger, cinnamon, and nutmeg for a holiday worthy flavour without any hard to find ingredients. 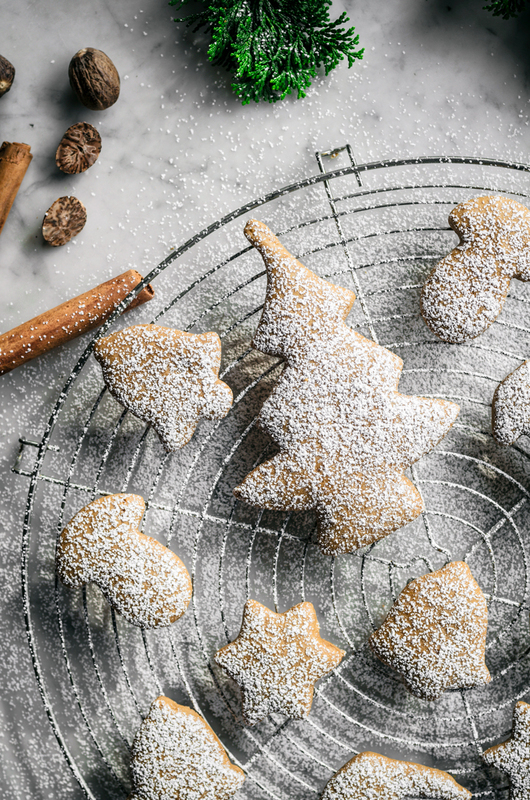 Easily rolled and cut, these make the prettiest Christmas cutout cookies in any shape you like. This is the first post in a series I’ll be sharing in the first week of December connected to several giveaways! There are eight in total, and all will be happening over at my instagram. The giveaways are primarily in North America and Europe/UK, but I do have one prize that I’m shipping myself so it’ll be open worldwide. I think I realized today why it’s been so tricky to get into a holiday mood since we moved over here – it doesn’t get cold! It doesn’t feel like Christmas until there’s snow on the ground (lots of snow) and there’s been at least one cold snap. Maybe it’s something you get used to. 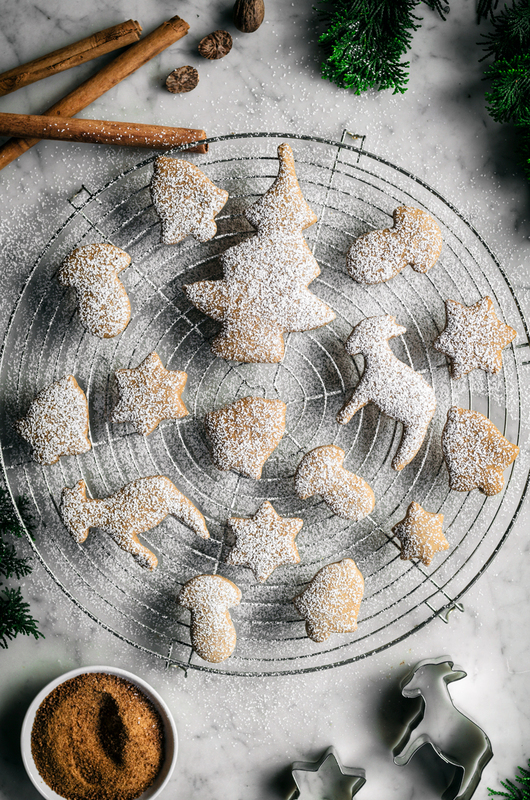 Even without snow, baking little cutout sugar cookies makes things a bit more festive! I shot this recipe in September though, hah. And good news! I hope! We saw a house for the second time yesterday and my fingers are crossed very tightly indeed in the hopes that we’ll get it. It seems likely this time around, finally. It needs some renovating and I’m thinking about sharing that as a separate section here on the blog as we’d be focusing on sustainable methods and products as much as possible. How freaking cute is that donkey cookie cutter?! That one and the mushrooms are my favourite. 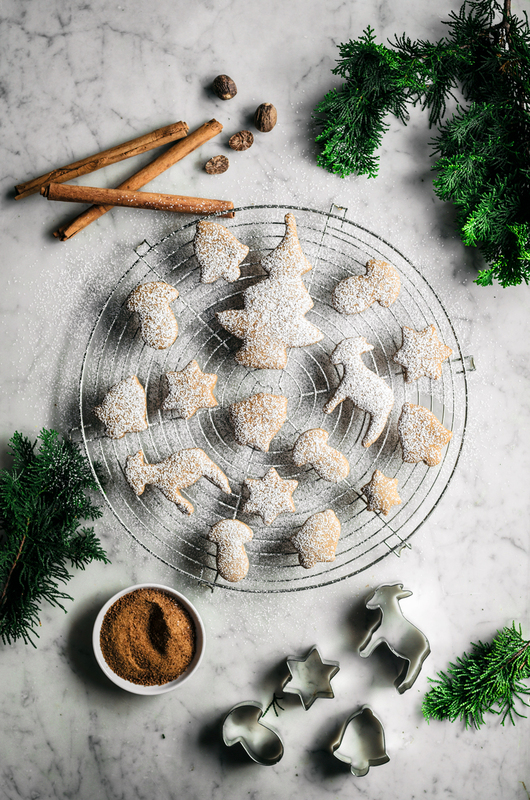 Best thing about these vegan spice sugar cookies, easily, is that everything is made in one bowl. You whisk the sugar, oil, and milk together before stirring in the dry ingredients, then knead a bit to bring everything together. No refrigeration needed here. 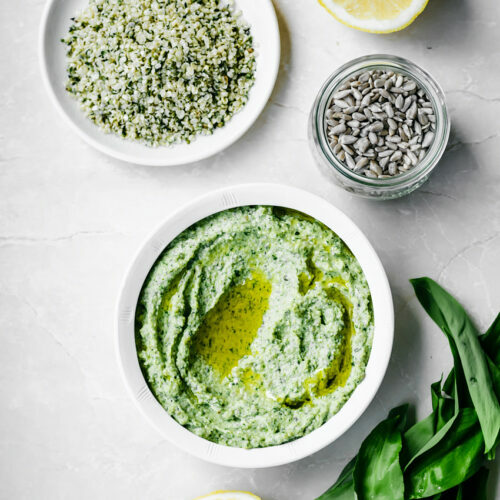 You just mix, roll, and bake. If the dough seems a touch too wet just add a bit more flour and knead it in, no problem. 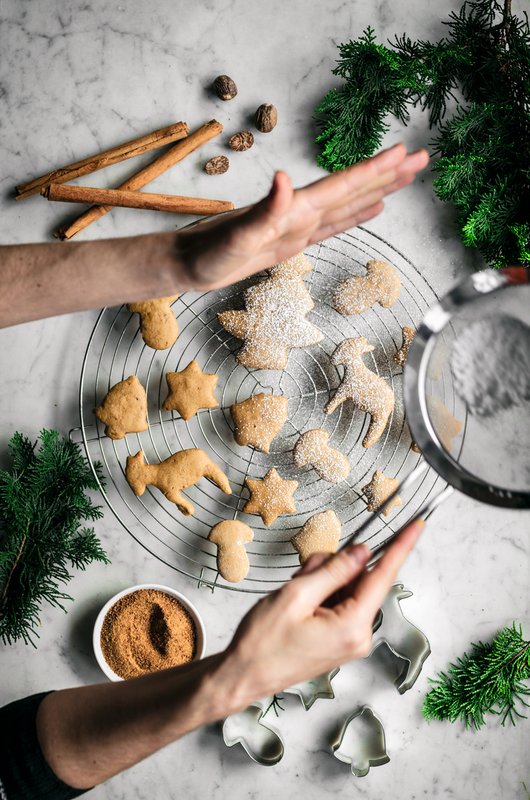 The type of flour you use can affect the dryness of the dough slightly, but it shouldn’t be too dry that it refuses to come together even after kneading or too wet to peel away from the paper when you cut the cookies. Rolling it out between paper is never a bad idea, but I do often make these and just roll them on a floured surface. These would be so fun to make with kids. I’m kind of obsessed with these dinosaur cookie cutters I saw the other day, how cute would that be? 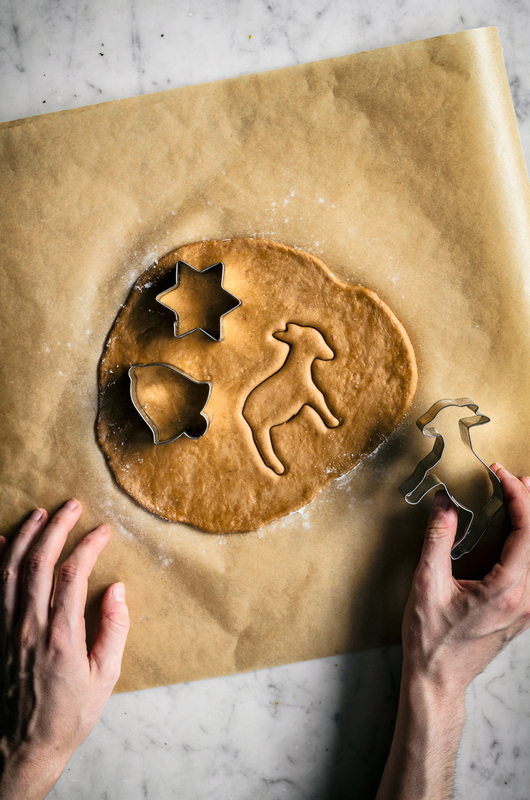 Here’s my big tip for cutout cookies: don’t use tiny cookie cutters! I know they’re so cute, but it’s probably not worth your time or back pain to cut out a hundred mini cookies. The method for these is simpler than previous recipes I’ve posted – for my vegan orange shortbread, you have to use a whack of liquid ingredients, then stick it in the fridge until it’s just right, but not too hard. Then you can roll. 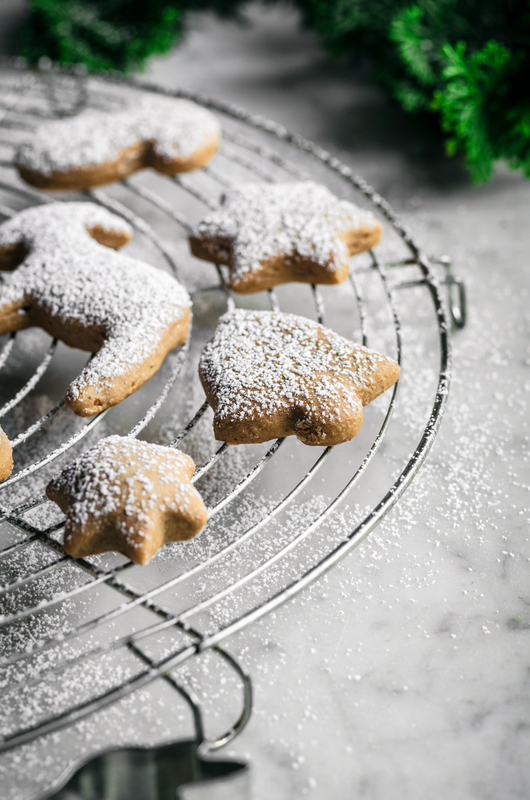 These spicy sugar cookies are crazy simple and yield a softer cookie. My goal was to make gingerbread, and these are essentially gingerbread cookies without molasses. You can’t really find it over here and I’m also not such a fan in any case. 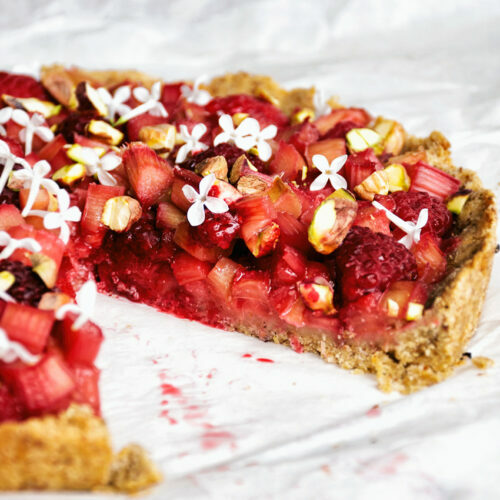 Coconut sugar gives a little caramel flavour, and ginger, nutmeg, and cinnamon add spiciness. 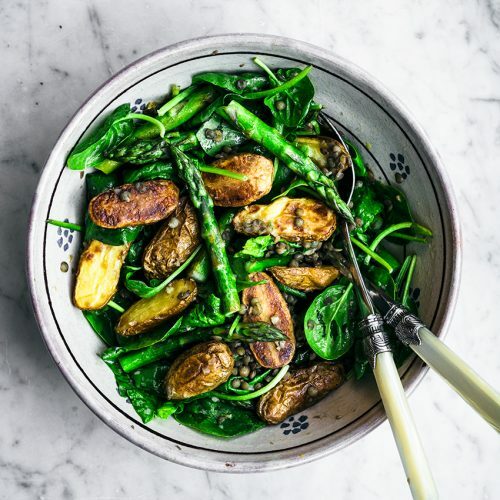 I’ve also left out coconut oil in favour of sunflower or grape seed to skip the step of melting the oil. The pretty colour of the cookies comes mostly from the coconut sugar. They puff up quite a bit in the oven but shouldn’t really spread at all. 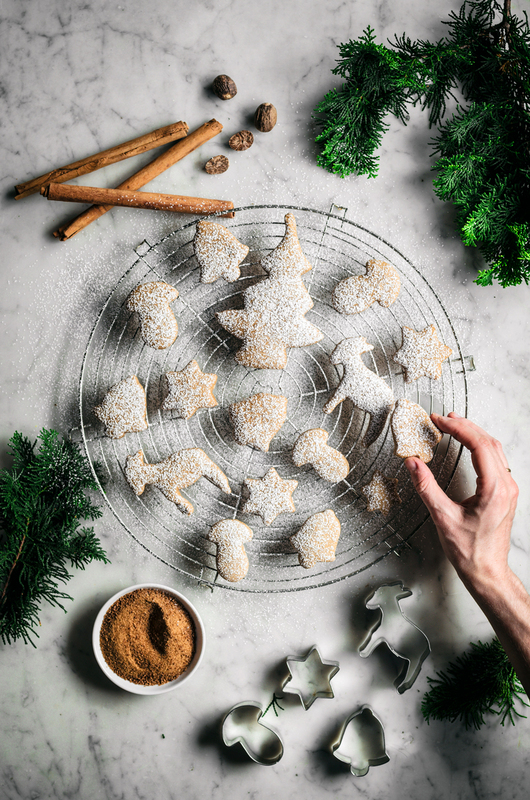 If anything you might lose the form slightly when you move them onto the pan to bake – a good trick is to use a thin knife to lift the cookies instead of using your hands. They will get little rounded tops but that just makes them cuter, right? I hadn’t really found a vegan sugar cookie recipe I loved before now, but these are great. You could top them with icing, or chocolate, but they’re great plain too. I sprinkled them with some coconut flour for the pictures because it’s a little sweet and looks just like powdered sugar. You know what would be great on these? Some coconut yogurt labneh! It’d be just like a cream cheese icing, and it’s a great healthier plant-based alternative to regular icing. 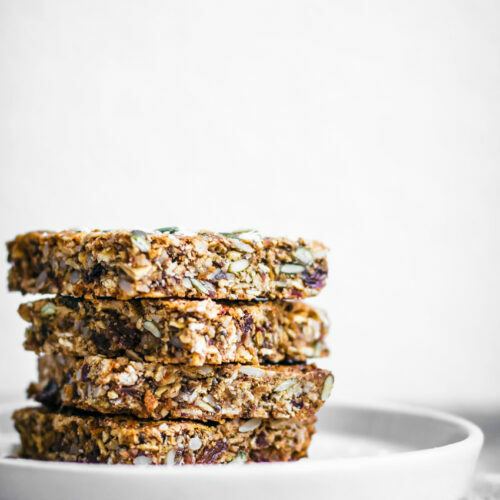 If you need a little more cookie inspiration, I have a pile of healthier cookie recipes! Last year I shared a holiday cookie box, too, with some of my favourites packed into an admittedly messy looking box that I made out of paper and staples. It’s the thought that counts, right? I think these vegan spice cookies would make a really pretty food gift. 3 tablespoons light-tasting oil, sunflower, grape seed, etc. Preheat the oven to 180C / 350F and line two baking sheets with parchment paper. In a large bowl, whisk together the coconut sugar, oil, and milk until the sugar has dissolved, or at least mostly dissolved. Sift in the flour, arrowroot, spices, baking soda, and salt. Stir until combined, and then use your hands to knead the dough a few times until smooth. If it's too dry, add a teaspoon of milk and gently knead again. Don't over mix. Flatten the dough slightly between your hands, and then roll out between two sheets of parchment paper to about a 5mm (1/4 inch) thickness. Cut the cookies into your desired shapes. Place completed cookies onto one of the prepared baking sheets and bake for 8-10 minutes, or until golden with firm edges. The centre should still be slightly soft. Cool the cookies for about 5 minutes on the pans before removing to cool fully on a rack. Gather the remaining dough, form it into a ball again, and repeat until all of the dough has been used, alternating pans. 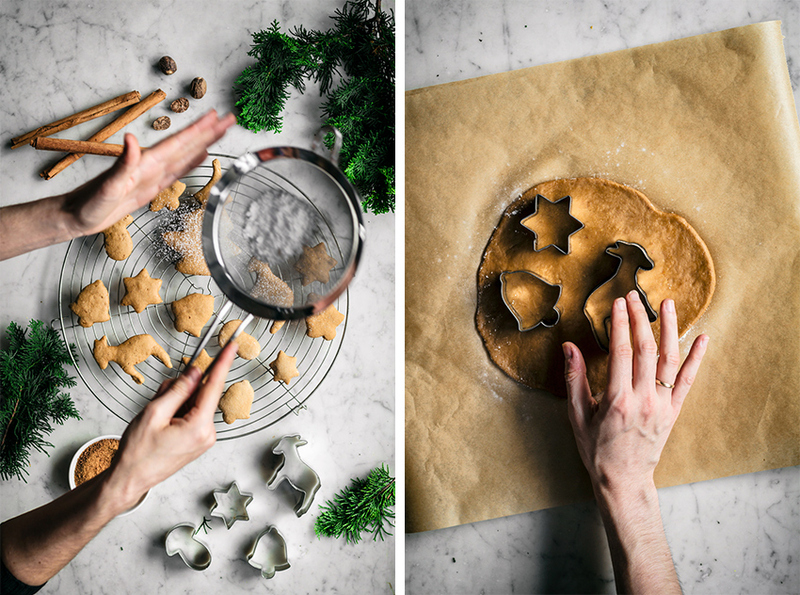 While one set of cookies bakes, you can cut the next set and place them on a pan to bake, and so on. • I bake the cookies one pan at a time, rolling and cutting the next batch while the previous one bakes. Having two pans ready means you can be putting the next one into bake while the previous cools, so everything runs smoothly. • You can use parchment paper several times, so don't worry about replacing it in between batches. I use mine until it's crispy. 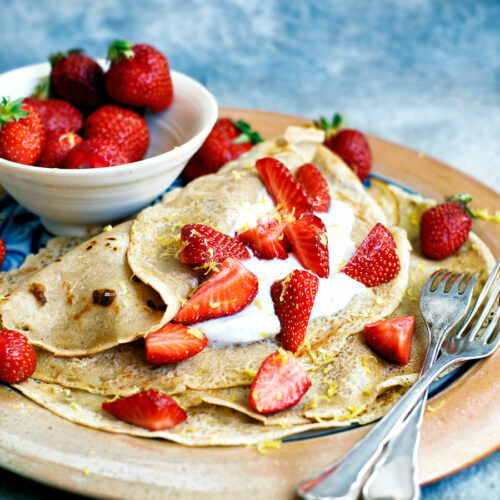 • There was a typo in this recipe regarding the amount of flour - edited 04/11 to update. Thank you so much, Kristin, you made my day! I’m so happy to hear that 🙂 I’d love to write a book, fingers crossed!